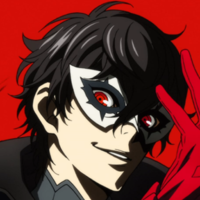 Crunchyroll - QUIZ: Which Phantom Thief are You? QUIZ: Which Phantom Thief are You? PERSONA5 the Animation is full of colorful characters and just about any discussion of the series is destined to devolve into best characters or the ultimate social link, but have you ever stopped and wondered which one of these best boys and best girls you're most like? Fret not, for I present to you the definitive PERSONA5 the Animation Phantom Thieves of Hearts personality quiz! Get your unmasking hands ready, and don't forget to let us know who you get! Danni Wilmoth is a Features and Social Videos writer for Crunchyroll, co-hosts the video game podcast Indiecent, and wants you to know that Makoto is best girl. You can find more words from her on Twitter @NanamisEgg.